The questions below were directed to Joyce Zurkowski, Unit Supervisor of Assessments at the Colorado Department of Education, for the purpose of better understanding PARCC and CMAS, the Colorado State standardized high-stakes tests. My original questions appear in red. Ms. Zurkowski’s responses appear in blue italics. I have included additional commentary is shown below Ms. Zurkowski’s responses. As you may know, I have been working to advise parents on their rights to refuse state standardized tests since I first administered the CSAP test to my fourth grade class in 1997. Given that socio-economic status is the number one correlating factor to test performance, any accountability tied to test scores further institutionalizes inequities in our education system and narrows both curriculum and opportunities for students. I understand this year there will be some changes to statewide assessments and I would like to be sure the information I share with others is accurate and verifiable. If you could please answer the questions below in a timely fashion, I would appreciate it. Please be advised the responses to these questions will be shared publicly. In the 2014/2015 school year, what assessments will be required for districts to administer? What is the assessment schedule? This 2014-2015 Testing windows graph does not include School Readiness assessment (62 pages, mandated by CAP4K) or READ Act assessments. Also, not included are “local interim assessments” needed to get points on School Performance Framework required for Colorado’s Performance Pay Model, SB191. 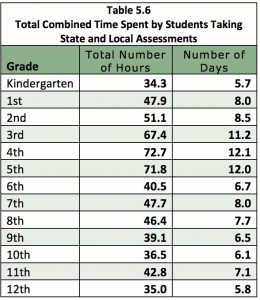 How much time will be required of students taking the tests? Attached is a document that has estimated testing times (provided in this link). PARCC is reviewing testing times based on the field test. It is expected that there will be some reductions for English language arts. Final testing times for spring 2015 should be available by the end of September. 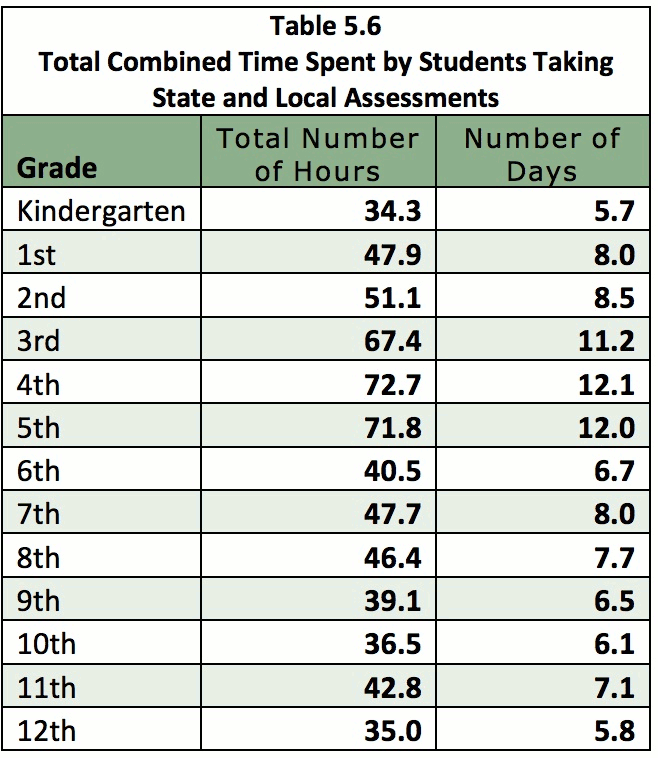 The 2014 Draft APA Report on Assessment Use in Colorado Districts and Schools listed actual seat time at more than 72 hours for nine and ten-year olds in the fourth grade (pg. 24). While 49 hours is the average amount of time a student spends on state mandated standardized tests each year (this does not include formative or informal assessments), the Graduate Record Exam, GRE, requires only 3.45 hours for adults applying to graduate school. The LSAT, required for entrance into law school, averages four hours. The 2012 READ Act dramatically increased testing for young children in the primary grades between kindergarten and third grade. Testing time has tripled in grades 3-5 between 2012 and 2014. It is also important to note that the congressionally mandated standardized test, NAEP (National Assessment of Educational Progress) is not included in these time estimates. NAEP is administered each year in all 50 states to a representative sampling and has been providing valid and reliable data on student performance since 1969. Have these assessments been independently evaluated for validity and reliability? Moving forward who will review these assessments and when? Documents provided here are dated 2007 and have no relationship to PARCC. They also only relate to the “development” of the test. The truth is that PARCC, like the CSAP, TCAP, and CMAS before it, have NO published independent studies supporting the validity or reliability of the test. This means they are testing kids with tools that have NEVER been tested. This violates all statistical scientific principles for compiling evidenced based research and constitutes experimentation, not accountability. If the measurement tool is invalid and unreliable, then all of the data collected from that tool is invalid and unreliable. Today’s testing reforms do not have to comply with Federal civil rights requirements. Previous laws passed to ensure equity and justice for children in public education is not included in current testing practices. If you are wondering why testing has led to greater achievement gaps and fewer gains for children of color and those with special needs, here lies your explanation. Testing reforms require equality in outcomes without any regard for the inequalities in opportunity. These testing reforms have shifted scarce resources previously directed at early prevention and intervention towards the singular goal of measurement. How much is the complete cost of all assessments for each student annually? While Colorado is adding more tests, they are simultaneously cutting more teachers. According to the Colorado School Finance Project in the two years between 2010 and 2012, Colorado added 18,600 students and subtracted 1,040 teachers. Several studies have indicated a significant rise in mental illness among youth particularly in the areas of depression and anxiety. Do schools collect any data related to a student’s psychological or mental health? Is data collected related to suicides and suicide attempts? This is not data collected by CDE. Colorado has one of the highest suicide rates in the nation. In 2012 there were 41 youth between the ages of 15-19 that took their lives. While suicide has not been correlated to testing, countries like Japan and China who have high pressure and high stakes educational systems have significantly higher suicide rates among youth. Colorado’s suicide rate increased 16.7 percent from 2012 to 2013 alone. This may explain why testing reforms have led to lowered student performance. The national average for SAT’s was 505 in the school year 1999-2000 the year before No Child Left Behind was enacted. In 2011-2012, the first class to graduate under high-stakes testing reforms, the national average dropped nearly ten points to 496. Test reform failures go even further beyond the data. Young people are intrinsic learners; they come into this world naturally curious, with their own questions and a sense of wonder. This culture of high-stakes test reforms has shifted the direction of education. Students will learn and achieve for their own purposes, but they are much less likely to learn and achieve when the outcomes are prescribed and the purposes hijacked. Our education policies have forgotten that these are children, not data sets. They have brief and fragile childhoods and as a community we have a responsibility to honor and protect childhood as a time of joy and discovery. 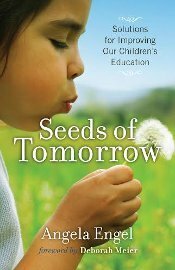 The greatest gains in our education system will be realized when we honor the whole child and approach learning from a place of opportunity, not punishments and sanctions. Will there be any imposed penalties to districts, schools, teachers, parents or students for test refusals? Performance ratings are lowered one category when a school or district does not meet the 95% test participation rate in two or more content areas. Participation requires a valid score. There are reasons other than “refusal to participate” that classify records to count as non-participants. Requirements for participation are expected not to change for 2014-15. There are no other imposed penalties to districts, schools, teachers, parents or students at the state level. According to Colorado Senate Bill 09-163, CDE has the discretion to adjust the calculations as it relates to determining performance ratings, see section 22-11-103(23) and 22-11-204(6)(c) below. As long as schools/districts provide written documentation of parent refusals, schools can appeal any drop in ratings or accreditation. THE DEPARTMENT, BY POLICY, MAY DETERMINE WHETHER THE SCORES OF ONE OR MORE GROUPS OF STUDENTS ARE NOT APPROPRIATE TO BE USED IN MEASURING THE LEVELS OF ATTAINMENT ON THE PERFORMANCE INDICATORS, AS DEFINED IN SECTION 22-11-103(23) (p. 101). THE DEPARTMENT MAY ADJUST THE CALCULATIONS SPECIFIED IN THIS SECTION AS NECESSARY TO TAKE INTO ACCOUNT STUDENTS FOR WHOM NO SCORE IS RECORDED ON THE STATEWIDE ASSESSMENTS. 22-11-204(6)(c) (p. 25). United Opt Out provides an Opt Out guide for each state. What is the process for parents who wish to request a review of their child’s test answer booklets and evaluation? What is the time frame parents can expect the test materials to be provided and who will supply the information? The process for requesting information to be removed from a student’s permanent file is set by local boards of education and the local district. The process of removing information or correcting your child’s record is very difficult. Under FERPA a school only has to provide the record for review. If you are concerned about protecting your child’s privacy, your best recourse is limit the data collected and later shared on your child. I understand the tentative and transitional nature of SB191- Performance Pay. How will a parent refusal to have their child tested affect a teacher’s performance rating in a district that has determined to use state test scores in calculating the performance of the teacher? Based on state guidelines, local districts/schools determine the contribution of state assessments to teacher ratings. The impact of missing data will vary depending on how many students a teacher has the variance in student ability across the classroom, the weight of the assessments within the evaluation and local decisions on how the missing data will be handled. SB 191 was passed during the 2010 legislative session and requires that scores contribute 50 percent of individual teachers’ ratings There is no research that shows that tying teacher pay to students test scores improve outcomes. In fact the most recent scientific longitudinal study conducted by Vanderbilt University, provides the evidenced based research to reverse SB191. SB14-165 offers a temporary opportunity for local districts to uncouple state assessments from teachers’ evaluations and base evaluations on professional practice. Please provide a position on the practice of requiring test participation as a condition of a child’s enrollment. Some districts and some schools are “requiring” test participation as prerequisite to schools’ enrollment. As we know, access to public education is provided in the Colorado Constitution. The Supreme Court has consistently ruled in favor of parents’ rights in decisions to direct their children’s education. Please provide an official CDE position on the practice of requiring test participation as a condition of a child’s enrollment. Enrollment and student registration protocols and policies are determined by local boards of education and local districts. CDE does not play any role in this process or its enforcement. District and school administrators who attempt to coerce or intimidate parental compliance for testing are acting on their own behalf and assuming legal liability. These districts and schools will soon discover that by not accepting parent refusals, which bear no consequences on summary scores, students may intentionally fail the tests, lowering summary scores. As school cultures grow more oppressive, they will be met with greater resistance. Please identify all vendors that receive any type of data or metadata related to Colorado students. Vendors included on this list are given access to your child’s personal identifiable information (pii), name, birth date, address and social security number. Listed are: Pearson, TS Gold, Diploma Sender, Department of Corrections, University of Virginia, CEI, CREDO, WIDA, Colyar, National Center for the Improvement of Educational Assessment, Inc, College Board, Amplify and the Colorado Department of Higher Education. What is missing from the referenced list is all of the vendors that receive data through Federal channels. Also not included are the additional companies which vendors share student’s personal information. For example the Department of Higher Ed shares pii with WICHE, SHEEO and the Department of Labor. Thank you to Cheri Kiesecker, a concerned Colorado parent, for providing detailed information related to the sharing of your child’s privacy. She has provided responses to the questions on privacy. Select this link for the full Colorado specific privacy brief. The Colorado Dept of Ed also partners with Informatica in making and sharing a Golden Record of each child’s personally identifiable data (data follows the child from preschool-k-to college). Watch the Golden Record video from Colorado Dept Ed. No parent has ever been able to access their child’s Golden Record. Is there any statute that speaks directly to the sharing of student data? Yes; the primary statute is FERPA; please see the resources found at: http://www.cde.state.co.us/cdereval/dataprivacyandsecurity. There is also a corresponding state law that references FERPA, in section 22-1-123, C.R.S. There are three important laws related to the privacy of children: FERPA (Family Education Rights and Privacy Act of 1974), COPPA (Children’s Online Privacy Protection Act- this applies to children under 13 and online data collection) and PPRA (Protection of Pupil Rights Amendment). FERPA protections were weakened through rule change by the U.S. Education Joel Reidenberg’s testimony at a recent congressional hearing on student data privacy; these three privacy laws are often circumvented AND NEW LEGISLATION IS NEEDED TO PROTECT STUDENT PRIVACY. If parents surrender health records, they are maintained by the local education agency (LEA). Tests done by the school psychologist for an IEP (including Pearson tests) become education records. Student Information Systems, like Pearson’s Power School or Edupoint’s Synergy, store education records for districts. As such, these businesses are authorized representatives to maintain the data, without parent/student approval. How is it determined which vendors districts can share student data? For state assessment purposes, the state communicates with districts about sharing data with the state-contracted vendors. Districts may enter into their own contracts for their own purposes as well. However, those agreements are between each individual district and the vendor; those do not involve the state. Parents are largely not aware that data about their children is collected and uploaded to Colorado’s P-20 Statewide Longitudinal Database (SLDS) (P-20 means pre-school through college). Colorado Education Data Analysis & Reporting System (CEDAR) that further shares this data broadly with state department and other agencies such as such as WICHE, SHEEO. The SLDS is a permanent record that includes much more than test scores. Over 400 data points are collected; for example, disciplinary and health data is uploaded to the State, who then can share that pii information to outside agencies and third parties. Much of this data is Social and Emotional in the form of photos, video, and behavioral observations /profiles, such as TS Gold. This mandatory preschool program collects information on three and four year olds including social, emotional and behavioral data points-38 different rubrics and much of it observational. Is there any monitoring or evaluation process of the vendors receiving student data and how that data is used? I want to thank Joyce Zurkowski for answering my detailed list of questions. It is important to recognize that she is the messenger and not the decider. Education is very dynamic with hundreds of new policies introduced and adopted every year. There is often a great deal of confusion for teachers, students and parents around federal and state mandates as well as district policies. The information shared by school officials can sometimes be outdated or conflicting. I hope this helps to shed some light on the complexities around testing and promote clearer and more transparent policies that ultimately benefit the learners. If you would like to learn more, please sign up for my newsletters at angelaengel.com.